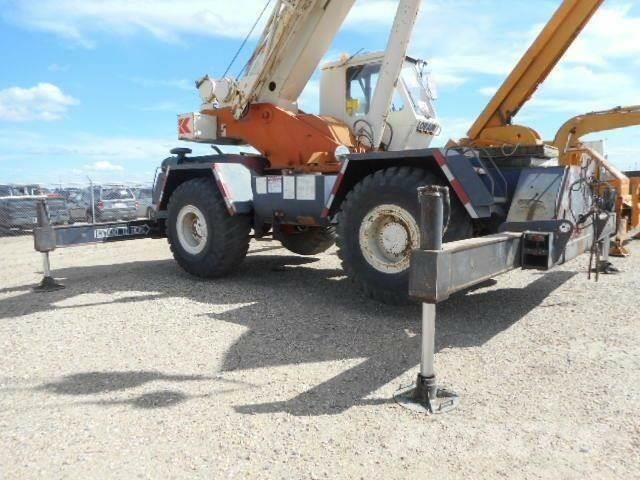 Other information Description: 35 ton capacity rough terrain crane.6 cylinder diesel engine.hook block, hook ball, 2 winches.81ft. boom,49ft. swingaway telejib. average paint, good cosmetics.anti-two block,micro-guard lmi weight load system, powershift transmission.good 23.5 x 25 tires.